RASCO started doing business in 1990 as a service workshop for agricultural machinery on leased premises. The focus was soon transferred to servicing equipment of road maintenance companies which lacked reliable post-sales support by their suppliers on the domestic, Croatian market. In the mid-nineties RASCO began to produce its own devices and gradually took over an increasing share of the domestic market. Production capacities and the number of employees increased in several stages, and the product range grew simultaneously. The company first entered the markets in south-eastern Europe, followed by the markets of countries within the European Union, due to a gradual development of more advanced devices and the creation of a reliable distribution network. 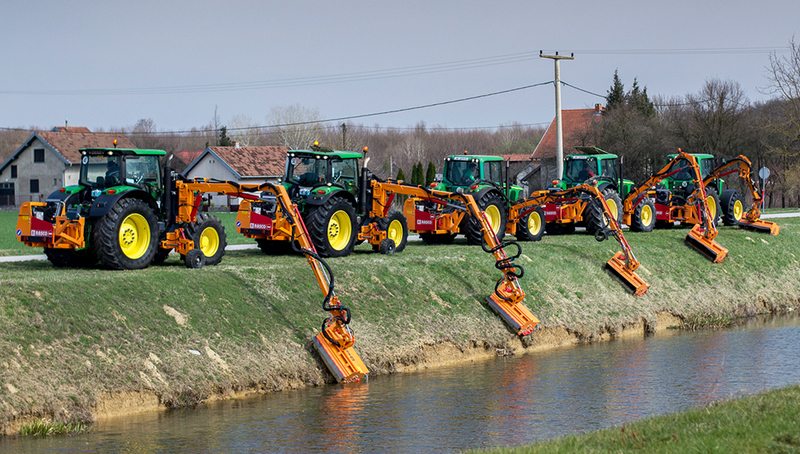 In 2012 the company began production of the MUVO implement carrier intended for maintenance activities of municipal infrastructure in urban areas. Today, RASCO is present in over 30 markets in Europe, Central and North Asia and North America. A completely integrated production process, which begins with raw metal and ends with the final product, takes place in state of the art production facilities. The development of the RASCO brand is based on continuous growth of the product program and production capacities. From the company’s very beginnings, when the entire business took place in a small leased workshop, to today, the surface area of RASCO production facilities has grown to 20,000 m² of closed and over 70,000 m² of open space on two production locations. Production takes place in seven halls with sophisticated and technologically advanced equipment which guarantees a constant quality of RASCO products. Together with the growth of production capacities, the number of products in RASCO’s product portfolio also continued to increase. RASCO started with one device back in the nineties, and today produces over 50 products for the summer and winter maintenance of traffic infrastructure. With a well rounded product portfolio, RASCO is able to offer solutions for all-year maintenance of traffic infrastructure and municipal maintenance of urban areas. 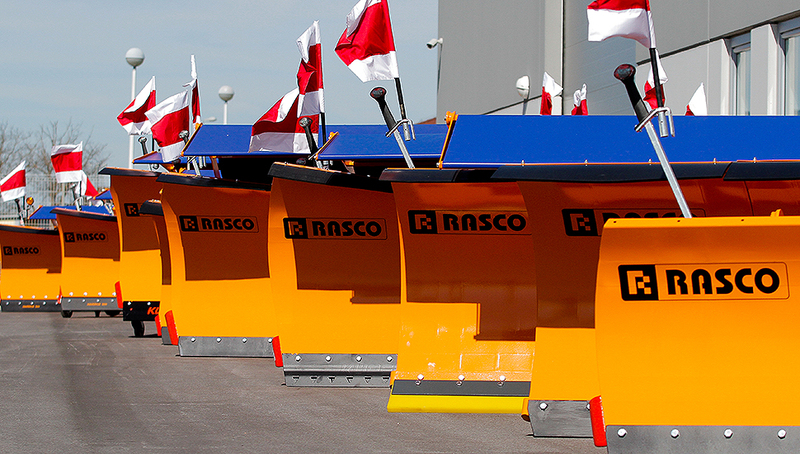 A constant vision, innovation and continuous investment during a quarter of a century resulted in steady growth of RASCO, which has by now become one of the leading manufacturers of professional equipment for the maintenance of traffic infrastructure in Europe. Filled with optimism, we look forward to the next 25 years of business. A rounded RASCO product program offers equipment for the maintenance of traffic infrastructure throughout the year. RASCO’s product programme consists of bodies for vehicles for winter and summer maintenance of all types of traffic infrastructure, from motorways, expressways and urban areas, to forest paths and watercourses. Customers are provided with a complete solution for all vehicles used for maintenance, whether these are trucks, multipurpose vehicles or tractors, in one place and from one supplier. RASCO products are adapted to needs of individual markets and comprise a portfolio that is continuously expanded and developed, driven by customer needs and market trends. The company’s foundations are based on four principles – simplicity, safety, durability and efficiency. They are incorporated in every concept, device and spare part produced by RASCO, they are key parts of the value RASCO provides to its customers, and are supported by a number of international certificates.